If you found your way to this site please click the link below to be directed to our new site. We would love to have you follow along on our adventures! 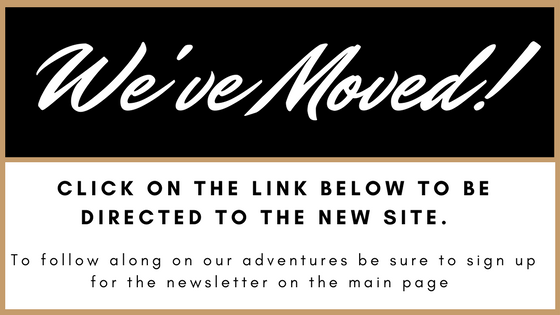 Sign up to receive emails from us when there is new content. Cheers to new adventures together! Christmas Cards: Yes, it's that time of year again! I received compensation in exchange for writing this review. Although this post is sponsored, all opinions are my own. This post contains affiliate links. Christmas is my favorite time of year (well, besides the warm months of summer). If it has to be bitter cold out side at least you get to be cozy inside, snuggled up with your loved ones, drinking hot chocolate and watching A Charlie Brown Christmas. Just thinking about it makes me want to snuggle under a warm blanket! One of the best parts of Christmas is sending and receiving Christmas cards. It is the one time of year I actually look forward to getting the mail. It is so much fun to see what's new with old friends and family that are living far away and we are unable to see on a regular basis. It warms my heart to see how kids have grown and families have changed since last year. I display them all with tiny clothes pins clipped to a ribbon hung over my kitchen window but there are so many different ways to display them. 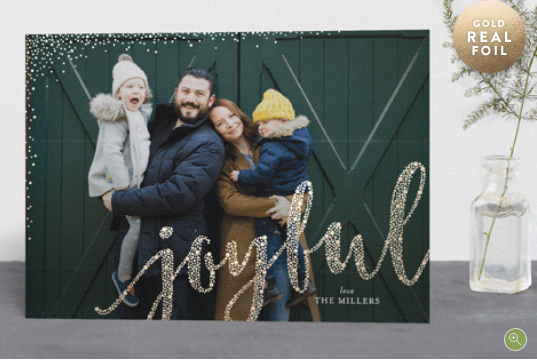 There is a whole Pinterest Board dedicated to displaying your Christmas cards. Who knew?! Check it out, there are some really creative ways to display your cards. When we have friends over for dinner they always stop and take a peek at the cards on display and comment on the ones they love or are their favorite design of the year. It is inevitable that they get excited to see their own card hung with care, too. I also really enjoy the process of choosing that perfect photo of my family and carefully designing a Christmas card to mail out to all of our loved ones. It it a bit nostalgic to go through all the pictures from the year and pick and choose my favorites, narrowing it down to just one photo. It's like a replay of all of the fun we had as a family throughout the year. 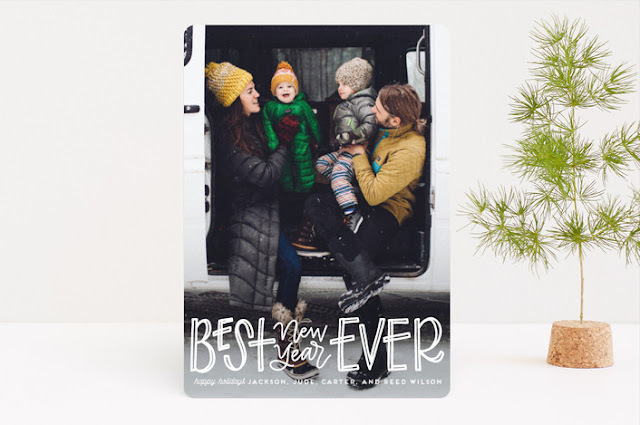 Minted has become my favorite go-to site for creating our family holiday cards. They always have beautifully designed cards that fit every style from modern to classic and everything in between. With a few clicks of a button the cards are so easy to customize. 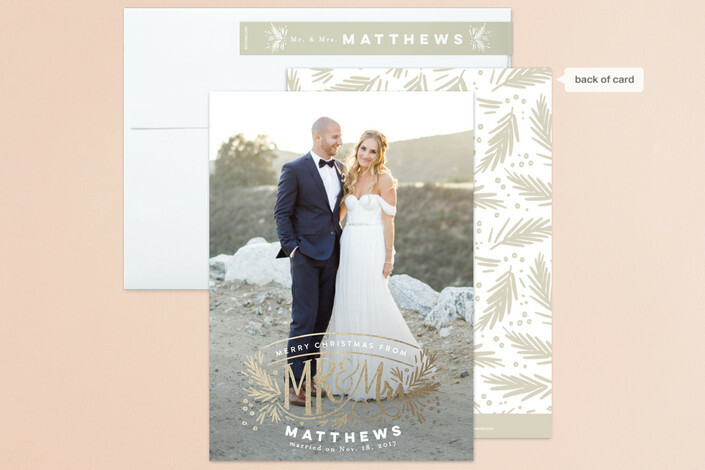 Below are few ways that Minted has made it even easier to create and send beautiful holiday cards. There are so many more options here. Check out the foil pressed holiday cards, too. I'm loving them this season and they are 20% off right now. 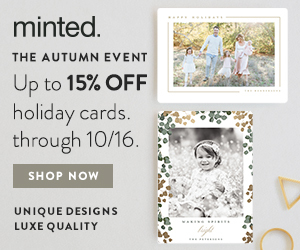 Minted offers their Find It Fast tool where you can see your photo in every card to help you save time in choosing a card that is the perfect fit for the photo you just scoured your computer looking for. Once selected, you can make it uniquely yours by selecting from the extensive personalization options such as colors, shapes, paper upgrades, etc. There are so many ways to make your card fit the photo that you've chosen. The FREE recipient addressing will certainly save time in addressing each envelope. This has been a service for a while now but was always cost prohibitive for me before. I will be taking advantage of it this year. 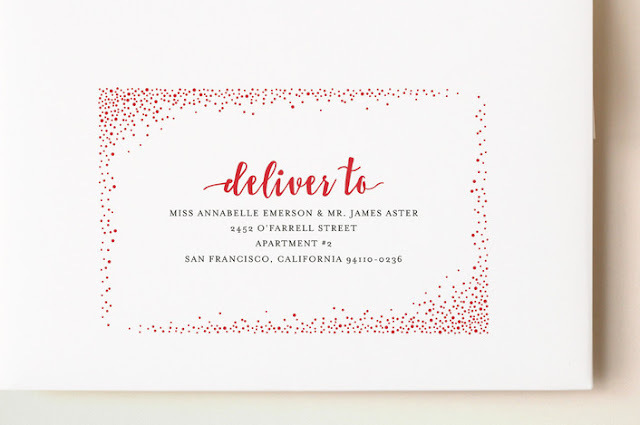 It looks so clean and polished and I love the detail around the address. Wouldn’t it be fun to get a card that looks like that in the mail? For all of you out there who feel like you don't have the time to create a card (I hear ya! 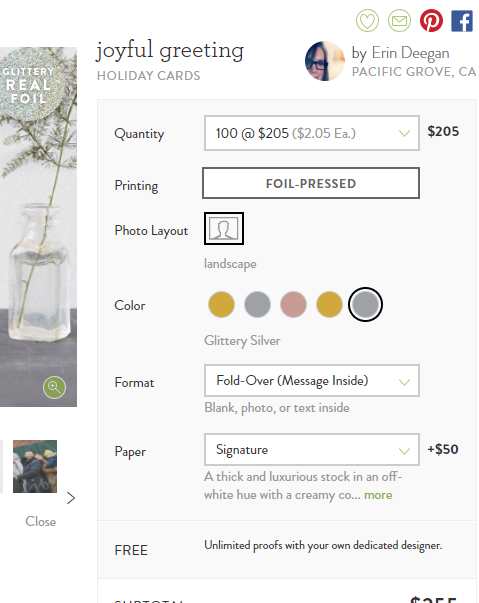 ), Minted makes the process even easier this year with their new service called Text Us Your Photo. 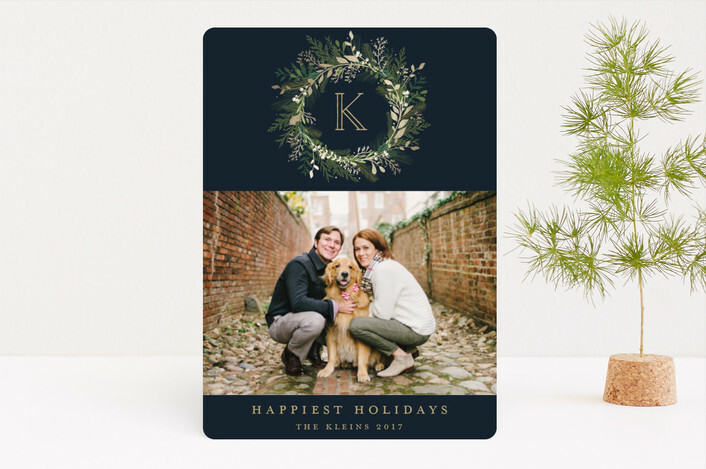 Simply text your favorite holiday photo to 415-301-CARD(2273), and your Minted stylist will text you back your photo styled in 5 holiday card designs and get this... it's FREE! It doesn't get any easier than that. 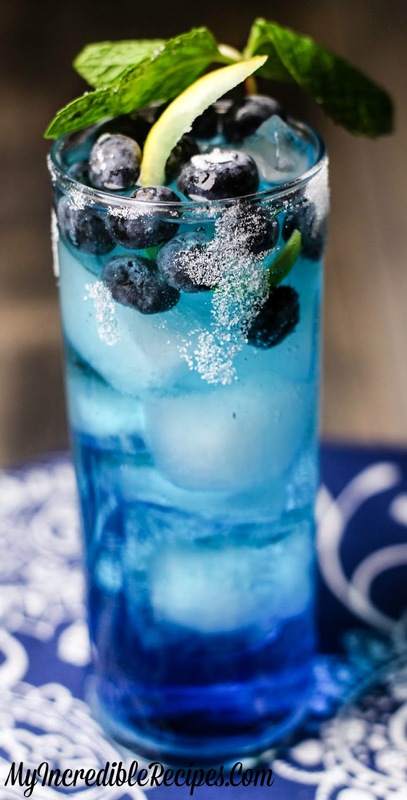 There were so many great looking cocktails but they seemed so sweet. Hi, I'm Sarah and I'm taking over Casa Pena Designs to update you on the Garden Party that I collaborated with Heidi to help plan. 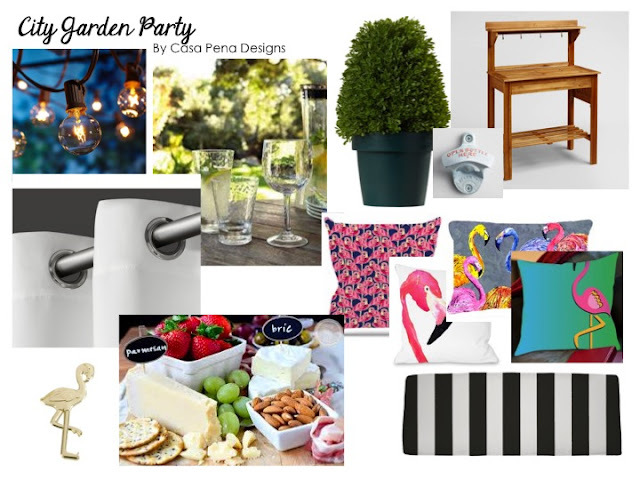 I had been talking about hosting this party for over a year and knew I needed a little help getting started. It was a huge success, in large part because of her design skills! 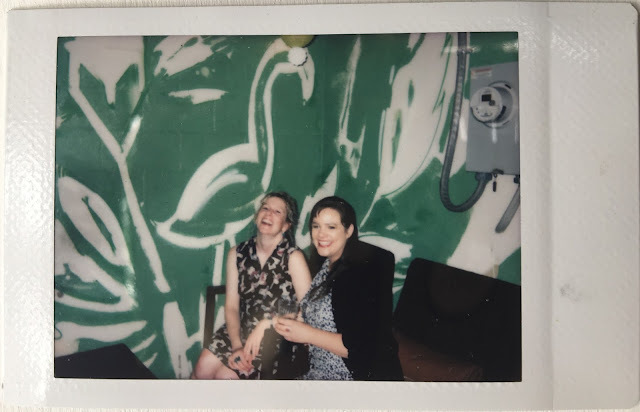 We used a Fujifilm Instax Mini to capture the evening because we wanted our guests to have a photo in front of our mural (the reason for the party). In retrospect, we should have also taken digital shots, which we'll know next time. I've lived in this house with my partner Lyn for about 5 years, which means that the algae along the side of the house has been there for at least that long. It started to bother me last year, but this year I decided to do something about it, thanks to the mold-be-gone product I found at kuh-kuh-kuh Costco! It was kind of a process and I'm not sure how I feel about using a chemical that made me cough uncontrollably, but it worked like a charm! 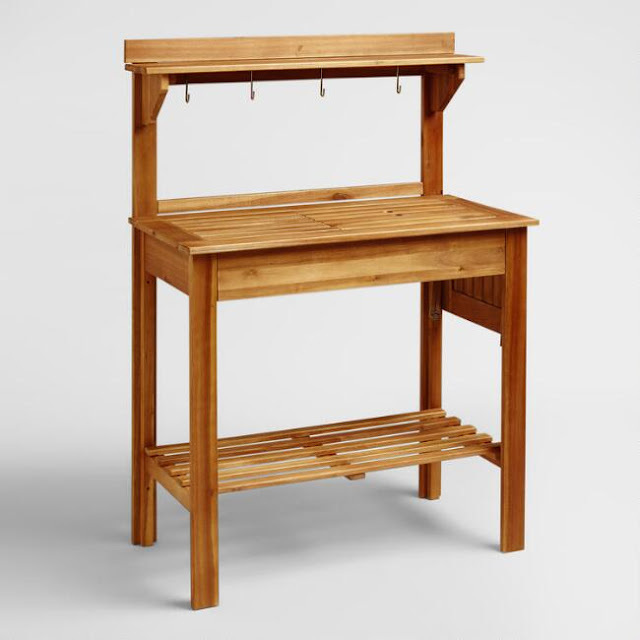 I'm an avid gardener, so the idea of having a potting bench has always appealed to me, but I never made it a priority. 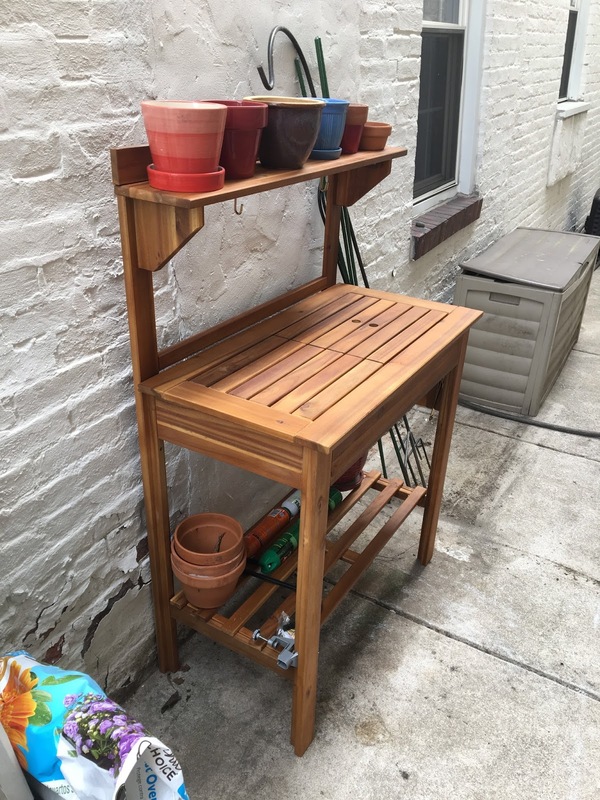 That quickly changed when one of Heidi's recommendations was a potting bench that doubles as a bar from one of my favorite stores, World Market. It was a great recommendation, and I'm happy with the purchase, but I wish I would have gone to see it in person before placing the order. It's more of a bar than a serious potting bench, but it fits perfectly in the space. We moved the old set to the back of the patio area to provide additional seating. We had the perfect amount - everyone had a seat! My partner, Lyn, has a special gift for creating killer playlists. Feel free to use our Drinks with Friends Spotify playlist - it was perfect for the energy flow of the party. We've always had plenty of lighting in our main patio seating area (under the deck), but police spotlights were the only thing lighting up the rest of the patio. This was problematic, since the purpose of the party was to show off the walls! 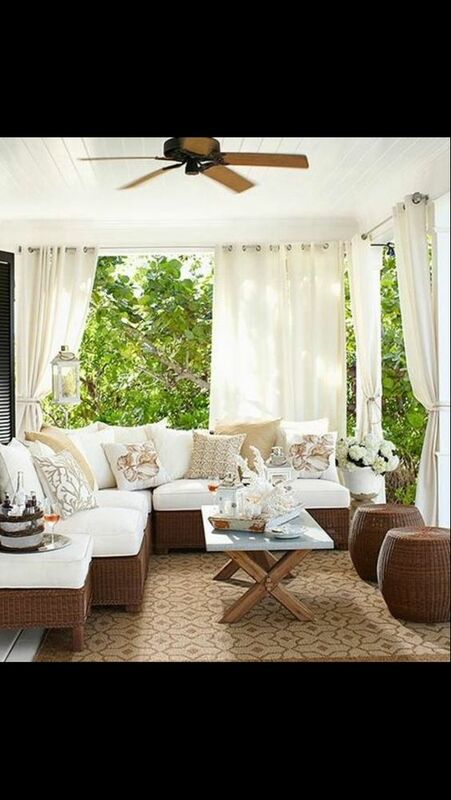 I shared Heidi's vision for how to hang the string lights, but I wasn't sure how to do it. 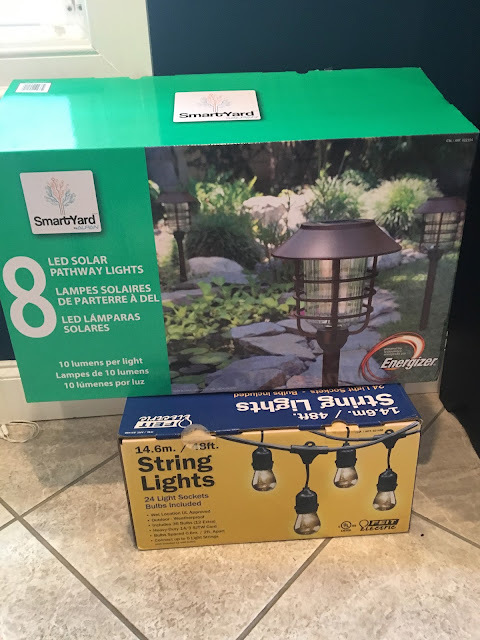 What I was sure of was that I needed another trip to Costco for lighting. 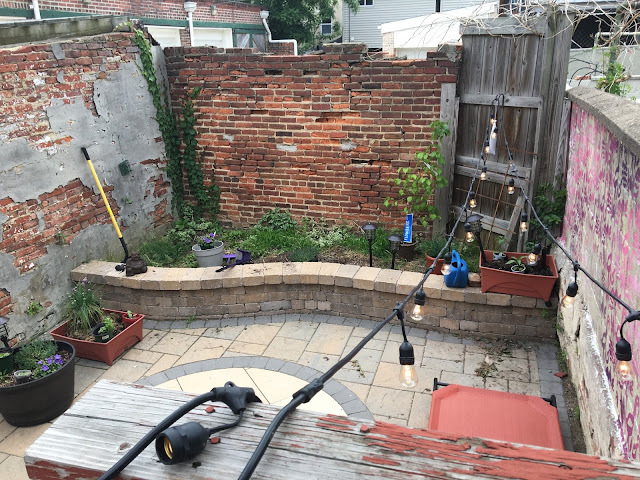 I'll unpack that when I detail my landscape design vision and execution in an upcoming post. 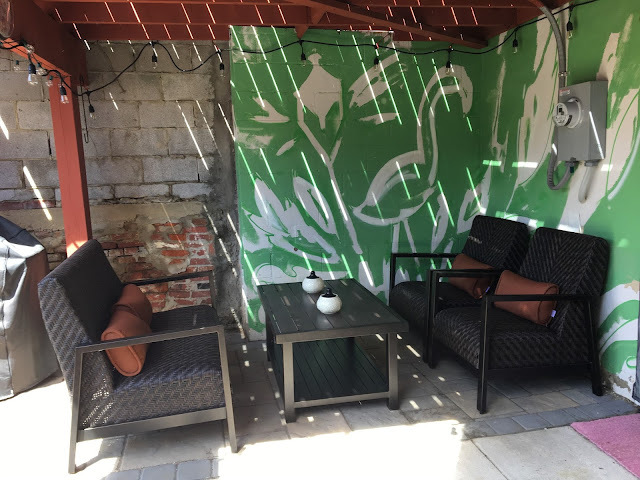 With this beautiful weather I thought I would share with you a recent event request for a garden party to showcase a recently acquired wall mural and updated landscaping in a backyard in Baltimore City. 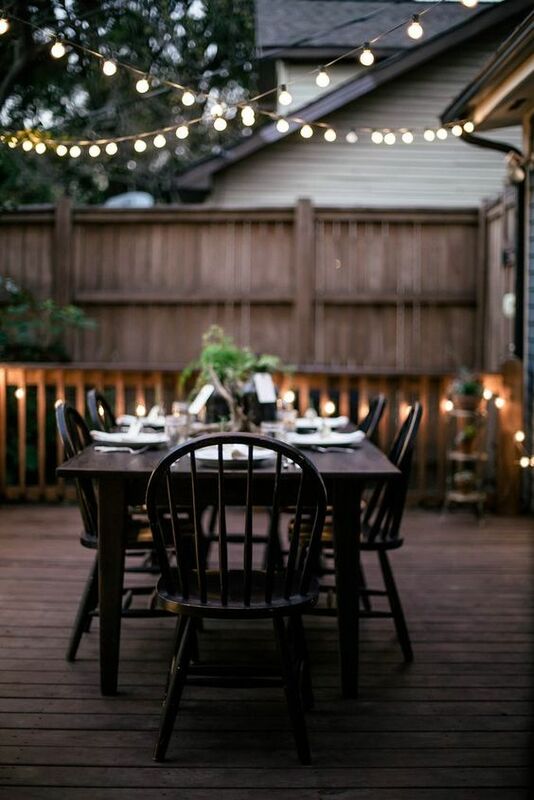 I immediately had a vision that included strung globe lights, soft music playing in the background, good drinks, and great company. Below are some images I found that perfectly illustrate that vision. Once I had a chance to discuss the party and space with the client I set to work on a design board and (very) rough sketch of the backyard. The mural mentioned above has a flamingo theme which I attempted to highlight with accessories. I will be sure to take before and after pictures of the set up and post them soon! Im going to be straight with you, the Show House has been a lot of work. 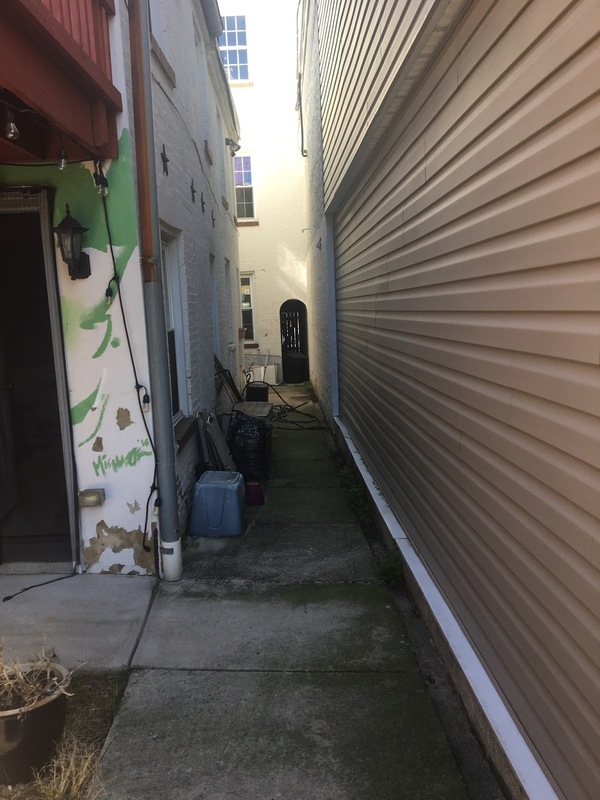 A great deal of that work has been growing and expanding my business at the same time as creating the vision and the install of the bathroom space. Designing business cards, figuring out sales tax forms, business insurance, and all the paperwork in between has been a challenge and I've certainly learned a lot. I guess because of the way it came together I can't really imagine it working out any easier or if there may have been a simpler way. I really needed this push that participating in the Show House provided. Otherwise I don't think I would be as far along in this process as I am (and I'm still a long way from sitting back and kicking off my shoes). 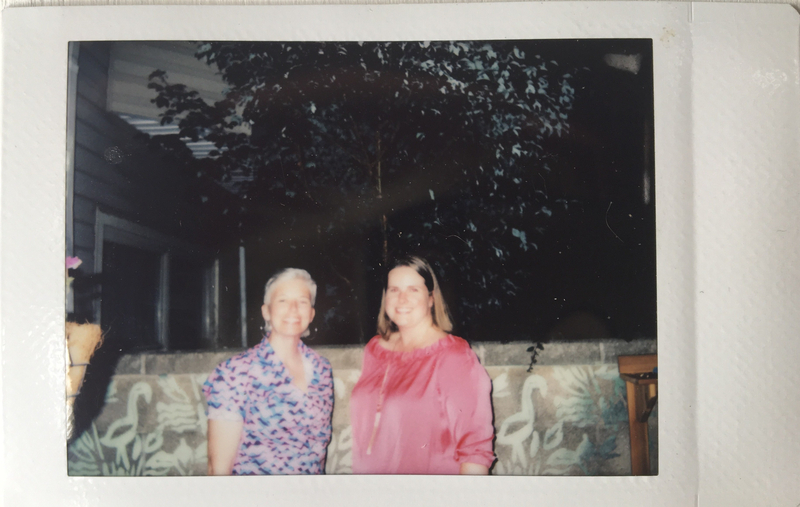 I couldn't have made this progress without the huge support of my husband and my friend Sarah, who have both spent hours with me figuring out all the small stuff that goes into starting up a business. They both pushed me and inspired me to keep going, all with no complaints along the way; proof that I have amazing people around me. Thank you to everyone that followed along on this design project. I hope that you stay tuned for more projects as I continue to blog about my business, the design that inspires me, and before and after pictures. Also, congrats to the winner of the Show House tickets is Bobbie L and her girl Lauren! Can't wait to see you at the house! 4. 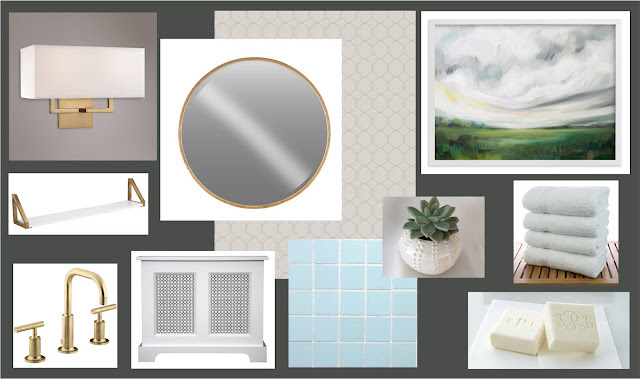 BSO Design Show House: My Design is Selected! The design show house is so close to opening! All this week it will be open to private parties then opening to the public following a ribbon cutting on April 30, 2017. I am so exited to have people experience this house! It has been such a labor of love to go through this process and I cannot thank you enough for following along on this journey. To show my appreciation I am giving away 2 tickets to the event ($50 value), which can be used any day of the event April 30th through May 21st. Follow me on Instagram (upper right corner of blog) and comment on the Ticket Giveaway post for a chance to win! Winner will be drawn at random. Good luck! The 40th Annual Symphony Decorators' Show House "Mayfair" will be open to the public beginning Sunday, April 30 through Sunday, May 21, 2017. Tickets are not date specific. You may use your ticket any time during normal operating hours. All proceeds support the educational programs of the Baltimore Symphony Orchestra including OrchKidsTM, the Baltimore Symphony Youth Orchestras and Midweek education concerts impacting the lives of more than 55,000 students a year. And we have carpet! Casa Pena is now move-in ready!